Ms. Agnes Siaw has more than 15 years of experience in the finance industry and is currently a non-executive independent director of Globalroam Group Ltd., which is an integrated telecommunication services holding company. 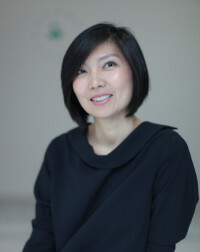 Prior to FundedHere, she was the managing director of Singapore-based Money World Group and has been with the group since Aug 2003. She was responsible for the governance of the group and was also the key person to decide the group’s risk management and compliance policies. A Certified Professional Risk Manager, she graduated with an Bsc. Honours Degree in Banking & Finance from University of London and a MBA from Hull University.